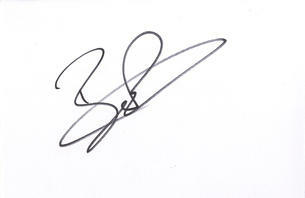 Ben Duckett ' England Test Cricket ' Cricket Signed Card Autograph. This is an In Person signed 6" x 4" white card by the Northamptonshire C.C.C. and England Test cricketer. Ben Matthew Duckett (born 17 October 1994 in Farnborough, Kent) is an English cricketer who plays for Northamptonshire. He is a left-handed batsman who also plays as a wicket-keeper.